Electronic work layered with tribal & modern instrumentation. Blending in vocal textures, traditional storytelling & spoken word. This album focuses on respect for our source of life & one another. 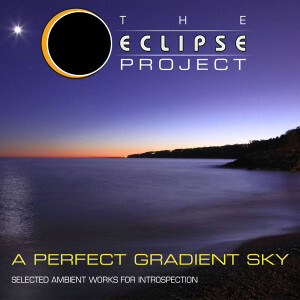 The Eclipse Project is the work of one main artist / composer / producer often working with various guest musicians and artists; creating works with deep ambient soundscapes, traditional instrumentation and a modern electronic groove. Eclipse makes positive music and images to counteract the often meaninglessness of modern media. Eclipse is always expanding and open to new ideas and expressions. If you like what you see and hear, pass it around. If you have something to say, be a part of our voice. When this track ended I was really disappointed that it was over. I didn’t want to come out of it. …..the forest is breathing, the forest needs water. are we to breathe along, or will we smother it? The didgeridoo line is a call to action in this music, or so it seems to me. Fine fine work here in the mix. A genius of beat, to my ears! Well done!